NDC series Multiple Dream-Color Chasing RGB Controller : 360° View. NDC series Multiple Dream-Color Chasing RGB Controller: Back View. Controller designed to be used with RGB Flexible Light Strips including our own Color Chasing RGB LED Light Strip Kit. 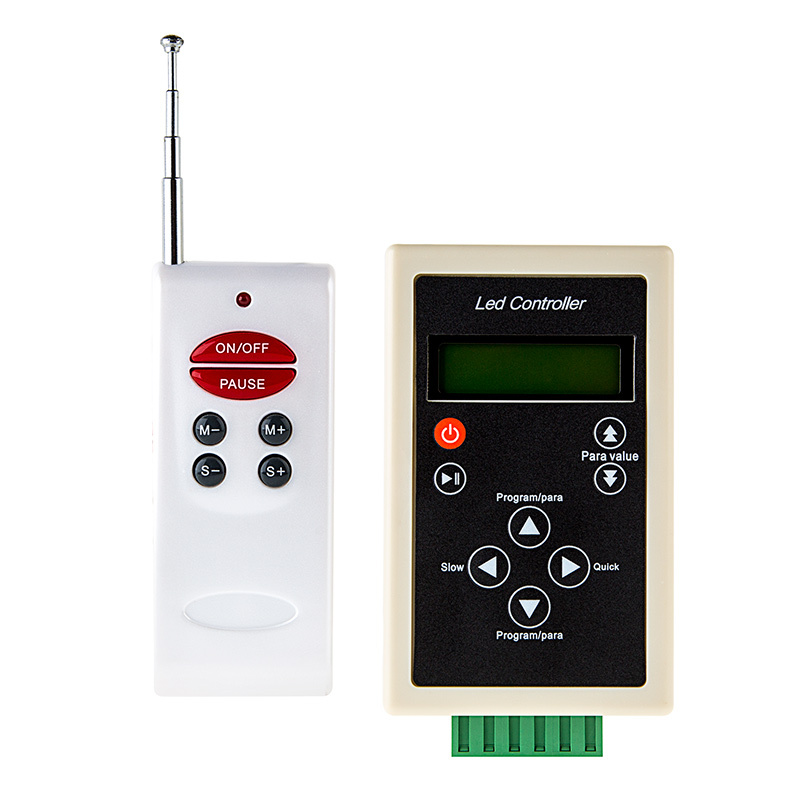 Controls the sequence mode, chase length, and speed of 83 different dynamic chasing patterns from the RF Remote Controller or directly on the RGB Controller unit. Pause any chase pattern to achieve a single color or multi-color non-chase effect. 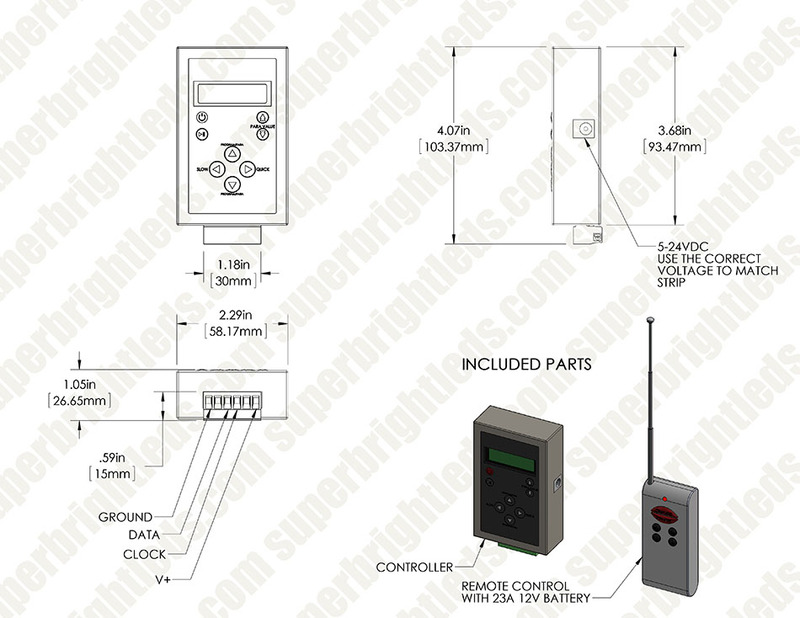 Includes RF Remote and 1 x 23A battery. Power supply not included. 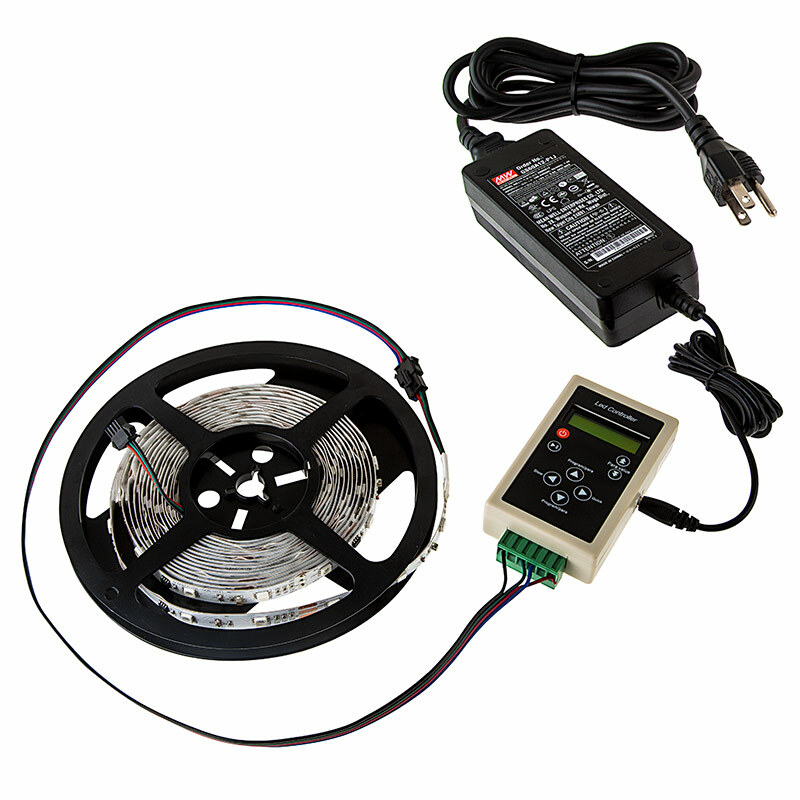 Match Power Supply with the power rating of the RGB Flexible Light Strip (5VDC to 24VDC). 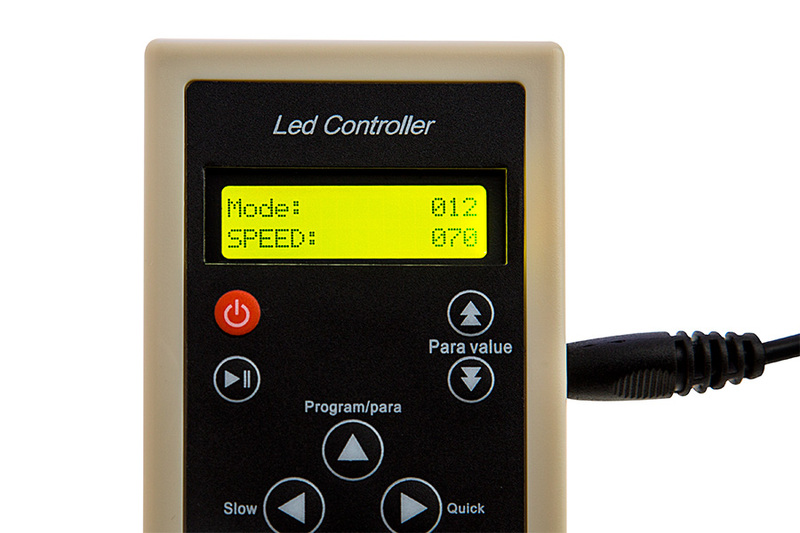 The model RGB-MDC83 controller is designed to be used with the NDC2-RGB150 series RGB Flexible Light Strip. Control the sequence mode, chase length, and speed of 83 different dynamic chasing patterns from the RF Remote Controller or directly on the RGB Controller unit. The Dream-Color systems controls every three RGB LEDs in the strip independently for the NDC2-RGB150. 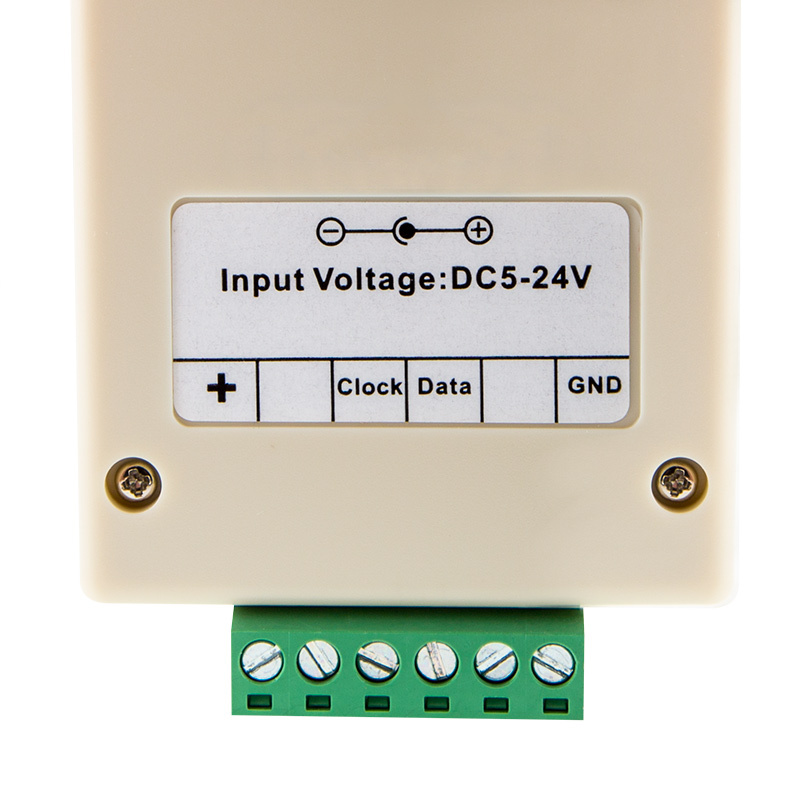 VERY IMPORTANT: Supply voltage for Controller is 5~24 Volts DC, do not exceed - Supply voltage for NDC2-RGB150 series Light Strips is 12 Volts DC. The RGB-MDC83 is compatible with the NDC2-RGB150 only. 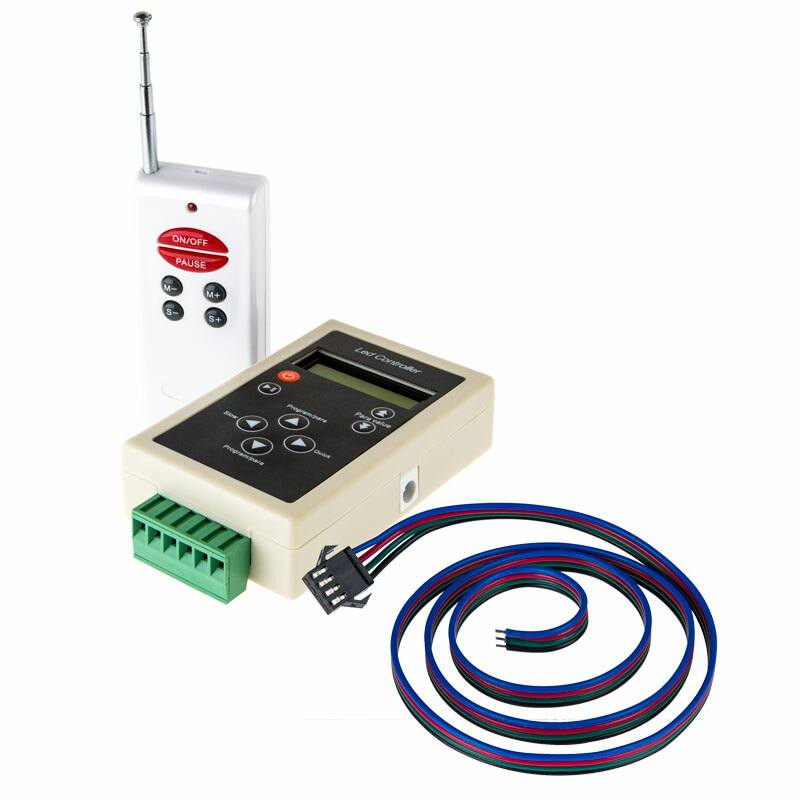 A complete kit including the light strip, controller, remote, power LC4 connector, and power supply is available. and Parameter buttons will only work when unit is off. Each Controller has a handheld Remote matched to it and will only work with it's matched remote. One remote cannot operate multiple controllers. Controller can control a maximum of 80 meters of our Flexible RGB LED Strip.